Arcadia Publishing Library Editions, 9781531672423, 130pp. In 1914, Philadelphia was the third largest city in the United States with a population of just over one and a half million people. 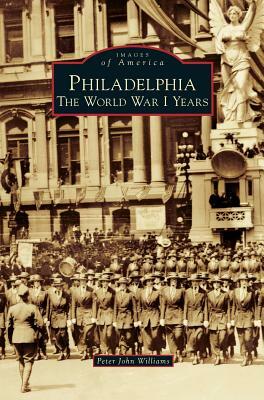 It was fitting, therefore, that during World War I, Philadelphia mobilized itself for the war effort perhaps more than any other large American city. Nicknamed the "Workshop of the World," Philadelphia saw its manufacturing and textile companies converted, almost overnight, to full wartime production. Meanwhile, private and city-sponsored organizations sprang up to send relief to the people of war-torn Europe and prepare for the possibility of American involvement. The Great War would forever alter the city's landscape and its people. Architecturally, demographically, and socially, Philadelphia would experience sweeping change, and the people of William Penn's "greene country towne" would come together as never before to support the war effort at home and their boys abroad.